Dr. Archie A. Odom, of Dothan, Alabama, and his associate, Dr. Adolph H. Schade, a German expatriate, organized the first SECO Congress as the Southeastern Congress of Optometry at a meeting on June 23, 1924, in Greenville, South Carolina. An estimated 100 optometrists, most with spouses, attended this first Congress, which also included a modest tradeshow; Dr. Schade served as the first President of the Congress. SECO started as a loosely knit organization, with no official ties to organized optometry, solely to put on an annual educational meeting. Optometrists from thirteen states and one jurisdiction comprised the original organizational grouping: Alabama, Delaware, the District of Columbia, Florida, Georgia, Kentucky, Louisiana, Maryland, Mississippi, North Carolina, South Carolina, Tennessee, Virginia and West Virginia. An annual SECO Congress has been held every year since 1924, except in 1929 due to the economic effects of the Great Depression, with a steady attendance and a topical, varied educational program. The name of the Congress was changed from the Southeastern Congress of Optometry to the Southeastern Educational Congress of Optometry (SECO) at the 20th anniversary meeting, in May 1943, and the Congress continued through the war years. The turning point toward a larger annual event came in 1957. Held in Atlanta, Georgia, the event attracted 120 people, including approximately 100 optometrists with only 20 from outside the state. For the first time in 10 years it was held as a separate event, not in conjunction with a state association meeting, which was a significant move. The key development was the adoption of resolutions providing for the appointment of two committees to perfect the details of a proposed sponsoring organization. Dr. William C. Ezell, of Spartanburg, South Carolina, the only person to serve three terms as a President of SECO, was instrumental in this development. Up until this time, first as an informal and unorganized society and then through the efforts of a loosely organized conglomerate of state associations operating under a Constitution and Bylaws enacted in 1944, SECO had functioned as a stand-alone entity focused only on the task of developing and presenting education. But it had become apparent that a true sponsoring organization was needed to attend to the growing business needs of the Congress and to provide a parliamentary body and legal business entity through which the key stakeholders, the state associations, could be fairly represented in the leadership structure. It was through these efforts that the Southern Council of Optometrists, Inc., was formed in 1958. 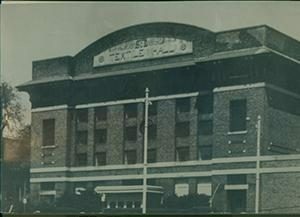 At the same meeting, Atlanta was chosen as the permanent headquarters of the Congress (although the idea of choosing a central, southern city as a permanent home for the Congress had been discussed as early as 1938) and an office was established with Mr. Felton H. Gordon, a professional public relations practitioner, as Administrative Director and Public Relations Counsel. At the March 1958 Congress, a Constitution and Bylaws was approved, to become operative when ratified by six states. Participating states of the Congress at that time were Alabama, Florida, Georgia, Kentucky, Mississippi, North Carolina, South Carolina, Tennessee, Virginia, and West Virginia. Progress on ratifying the Constitution and Bylaws was so rapid that by August, a special meeting was held at which delegates officially declared the provisions of the Bylaws to have been met and the new Constitution operative. The Southern Council of Optometrists, Inc., was incorporated in January 1959 in Georgia, held its first annual business meeting in February 1959 at the 36th Congress, and obtained federal tax-exempt status as a (501)(c)(6) not-for-profit organization later the same year. Members, who comprised practitioners who were members in good standing with SoCO state associations, paid $1 in annual dues. The founding of the Southern Journal of Optometry, the first issue of which appeared in January 1959, marked a major milestone in SoCO's history, as the monthly publication was declared the official organ of the association. A sequence of talented and dedicated editors guided the publication through a 41-year history before its retirement with the last issue in January 2000. Utilizing the talents of a strong volunteer base, SoCO forged a national identity and reputation built on the twin foundation of an annual education Congress and monthly journal, both of which became invaluable education resources for the profession as a whole. By 1972, SoCO was ideally positioned to provide the educational vehicle necessary for the profession to develop into the new arena of diagnostic pharmaceuticals. The profession's strategy of "educate then legislate" created a need to prepare practitioners for a whole new level of patient care and SoCO easily stepped into the position of leading education provider to this new audience. Such was SoCO's commitment to this ideal that quality lectures were often placed above monetary gain in order to advance the profession through continuing education. Attendance grew as practitioners from all over the country began to make SECO their prime venue for continuing education. As an organization completely dedicated to education and no other aspect of the profession, SoCO was free to produce education without the encumbrance of legal and legislative matters that throughout the 1970s and 1980s was an integral part of the profession's growing pains. When the cycle of "educate then legislate" began again in the 1980s to expand the scope of practice to include therapeutic pharmaceuticals, SoCO was once again ideally positioned to help practitioners prepare for new patient treatment modalities. The modern era for the Southern Council of Optometrists has seen the development of a strong Internet presence, built on SECOInternational.com. SECO offers an array of services for practitioners around the world, whether or not they are members of SoCO or have ever attended a SECO Congress. SoCO continues to demand the best in education for our annual Congress and each succeeding meeting achieves new levels of services and provides a new learning experience designed to meet the needs of today's successful practitioner and businessperson. In 2014, SECO International expanded its reach once again with the creation of SECO University, an online Education Resource Center for optometric continuing education at SECOUniversity.com. Drawing on more than a decade of providing online CE to the optometric community, SECO University gives eye care professionals access to an expansive library of online continuing education courses, any time, anywhere. SECO International broadened its educational reach again in 2017 with the creation of MedPRO360. Leadership recognized that private practice healthcare professionals of all specialties face with similar issues with regards to managing their practice. MedPRO360 is a one-day healthcare business management that brings together healthcare professionals from all specialties and areas of practice to learn ways to improve the profitability of their business. Today's Southern Council of Optometrists counts 13 southern states as members: Alabama, Arkansas, Florida, Georgia, Kentucky, Louisiana, Mississippi, North Carolina, Oklahoma, South Carolina, Tennessee, Virginia and West Virginia. There are also seven Associate Members: the Armed Forces Optometric Society, the Association of Optometrists in the United Kingdom, Colegio de Optometristas de Costa Rica, the Federacion Colombiana de Optometras (FEDOPTO) in Colombia, the South African Optometric Association, and the Trinidad & Tobago Optometrists Association. SoCO now counts over 25,000 optometrists as members. Nineteen practitioners serve on the Board of Trustees, six of whom serve on the Executive Committee as the Officers of the organization. SoCO built and owns its own office in a suburb of Atlanta, staffed with dedicated and experienced individuals. The profession's success has been SoCO's success, and SECO International, as the annual Congress has been known since 2000, is dedicated to returning to the profession what so many volunteers and members have given to creating what is now an internationally renowned educational event and one of the largest optometry meetings in the world. SECO International now regularly attracts practitioners from at least five countries, all 50 states and three U.S. territories and enjoys the support of almost 300 companies at each meeting.